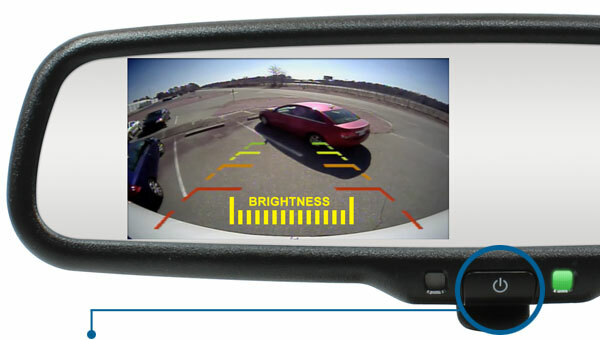 With Quick-Touch Technology, when the vehicle is not in reverse, the power button can be held for two seconds to display video from an auxiliary camera such as a forward-facing or blindspot unit. 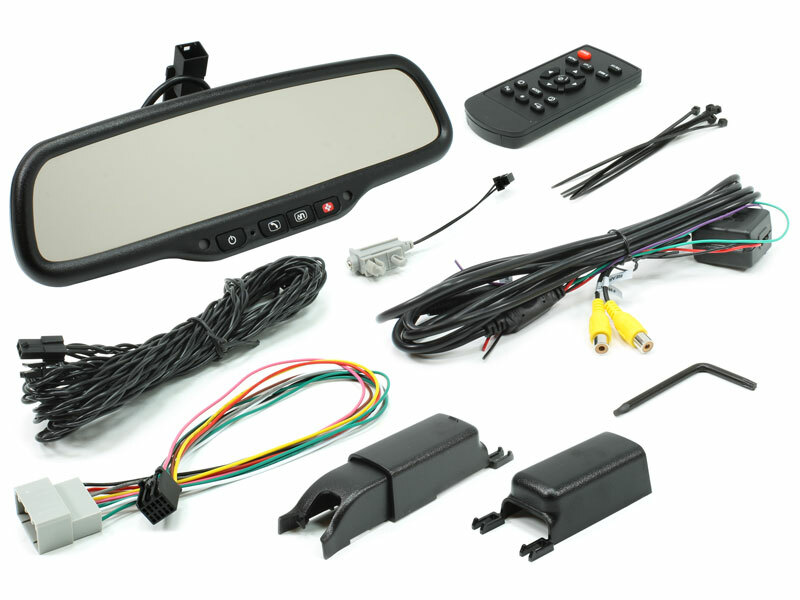 The IR remote control included with each RearSight mirror/monitor gives drivers access to a variety of built-in features such as adjusting parking grid lines to match their preference. 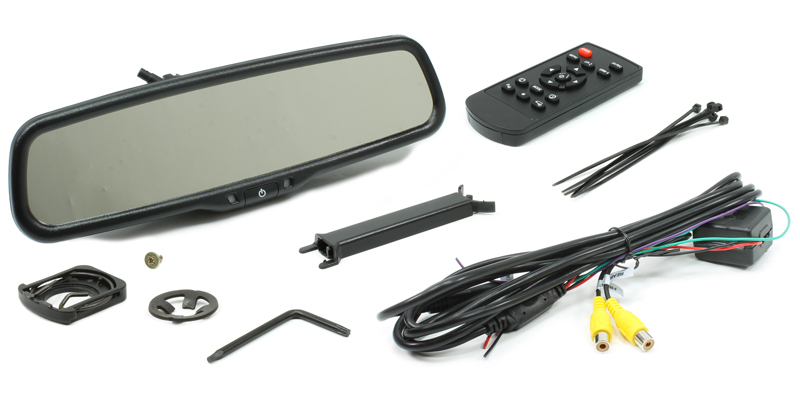 The LCD screen built into each RearSight mirror/monitor has the ability to automatically adjust its brightness in response to the lighting condition of the vehicle to not impair the driver's vision. 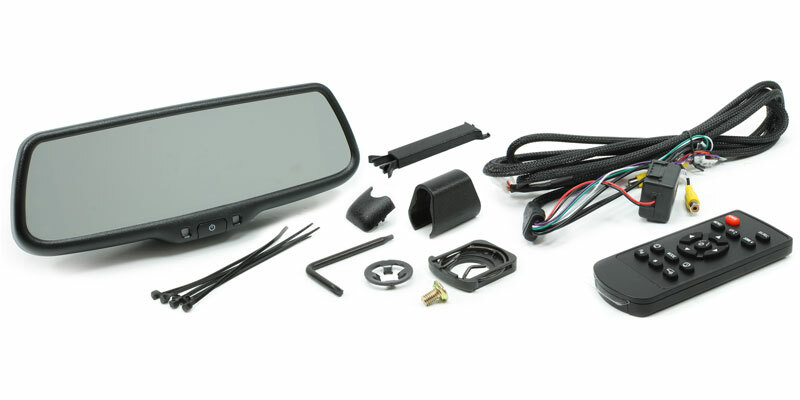 RearSight mirrors all include functionality for overlaying adjustable parking grid lines onto the LCD screen when the camera is active to assist the driver in making safer decisions. 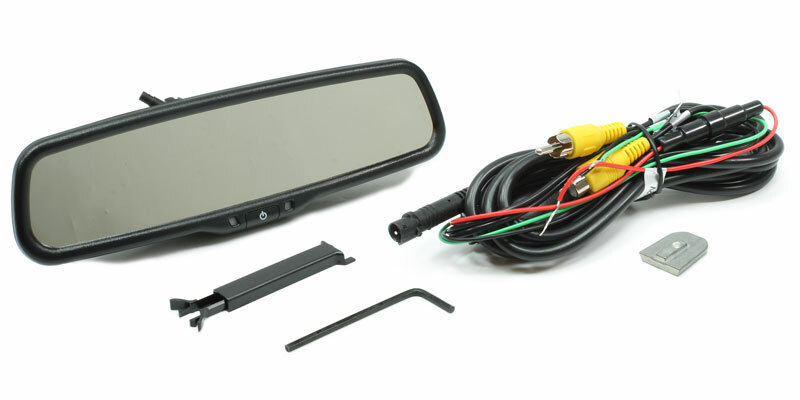 Rostra's RearSight mirror monitors each have a "power button" built into the body of the mirror to control certain functionality depending on how the mirror is being used. 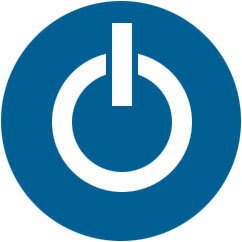 When in reverse, a quick press of the power button will manually increase the overall brightness of the built-in LCD screen. 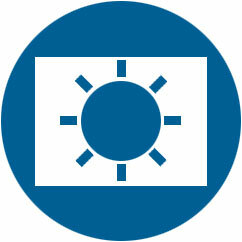 Once maximum brightness has been reached, the brightness will reset. 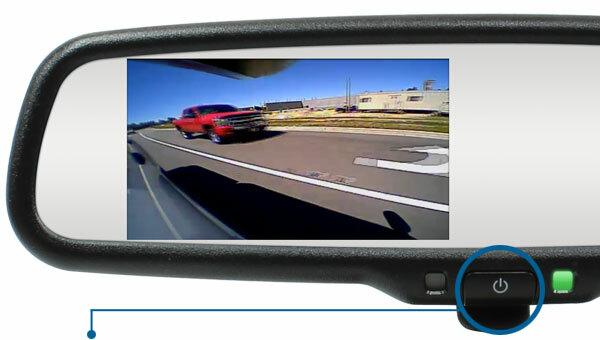 When the vehicle is not in reverse, the power button can be held for two seconds to display video from an auxiliary camera such as a forward-facing or blindspot unit. 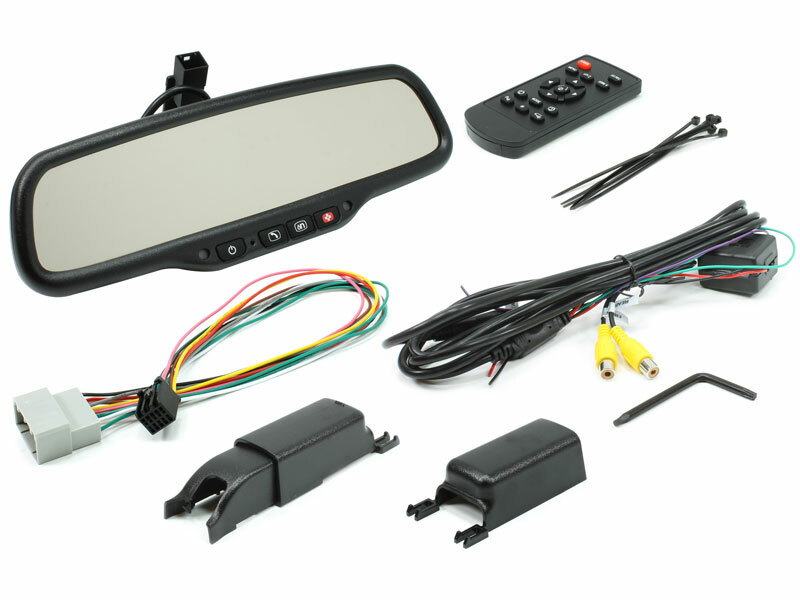 RearSight mirrors feature on-screen parking assistance grid lines to aid drivers when maneuvering their vehicle in reverse by helping to provide an estimated distance to any objects in view of the backup camera using color-coded zones. 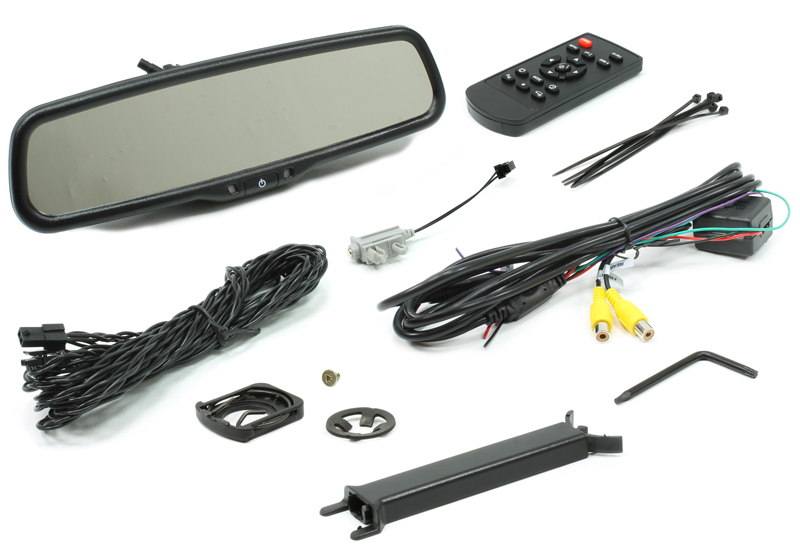 The remote control included with every RearSight mirror allows installers and vehicle owners to make vehicle-specific adjustments including turning parking assistance grid lines on or off, as well as aligning the grid lines on-screen for increased parking accuracy. 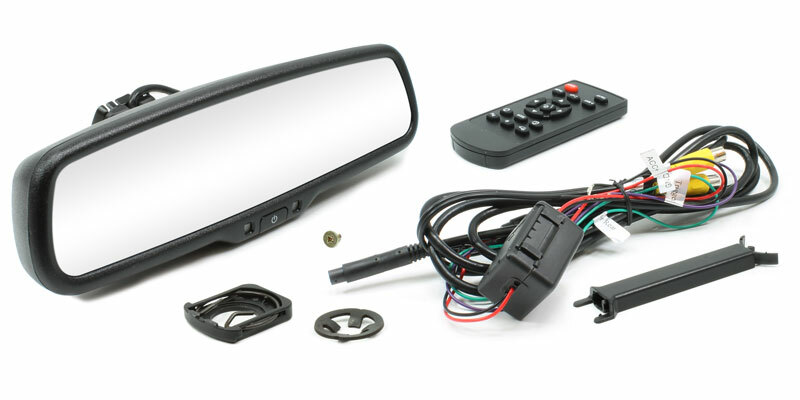 A built-in photo sensor automatically dims the mirror face and LCD screen in low-light conditions to reduce glare and eye strain while increasing LCD illumination during the day to make the screen easier to see in bright light. 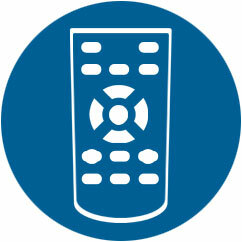 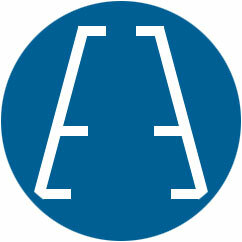 Download a copy of 3 Year/36,000 Mile warranty registration card by clicking here.